The final of the 2010 World Cup took place just after the British Grand Prix was complete, so once celebrations at Red Bull were done, it was all about Spain versus Holland. Our tweets this week cover the build up to both events, from drivers completing their many PR assignments to teams battling it out in their respective motorhomes. 1. Claire builds up the anticipation for Rubens' appearance on Top Gear. 2. Red Bull know where the real battle must be won. 3. Anyone searching for an autograph had to look out for low flying hats! 4. Unexpectedly good weather at Silverstone. 5. Renault work throughout the day to make sure their performance is seamless. http://tweetphoto.com/32070510 A mechanic's work is never done...the boys complete some final pit-stop drill before the race. 6. Post-race and the team seem happy with the result, even if there's still no sign of Senna. 7. 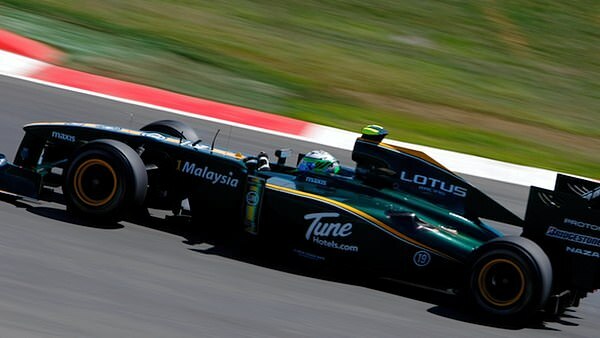 Heikki clearly isn't sure that the new section of Silverstone provides better overtaking. 8. Jonathan Legard stirs up those rivalry rumours some more. 9. Attention turns to the World Cup final. Still a lot of people in the paddock watching football, including Alonso and Vettel. De la Rosa is on a plane right now. Bad planning! Alonso brandishing replica cup. At least he got his hands on a trophy of sorts this weekend. Next post When will be Vitaly's time to shine?